Pecans dry roasted with sea salt to the height of flavor. 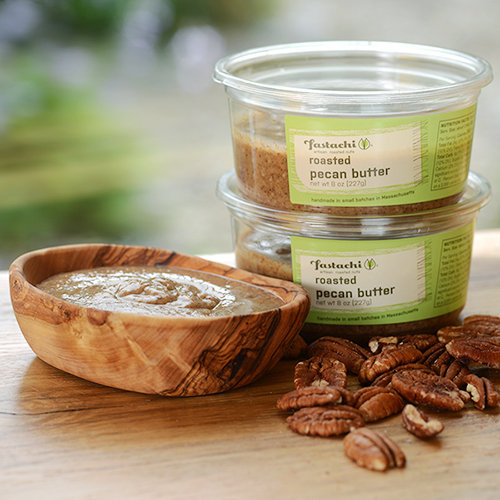 Fastachi's salted pecans are unlike any other pecan. Pecan Fact: In 1919 the 36th Texas Legislature made the pecan tree the state tree of Texas. In southeast Texas, the Texas Pecan Festival is celebrated every year. In 1906 then Texas Governor James Stephen Hogg asked that a pecan tree be planted at his grave instead of a traditional headstone, requesting that the nuts be distributed throughout the state to make Texas a "Land of Trees". NUTRITION FACTS: Serv. Size: about 1/4 cup (28g). Amount Per Serving: Calories 210, Fat Cal. 190, Total Fat 21g (32% DV), Sat. Fat 2g (9% DV), Trans Fat 0g, Sodium 105mg (4% DV), Total Carb. 4g (1% DV), Fiber 3g (11% DV), Sugars 1g, Protein 3g, Calcium (2% DV), Iron (4% DV). Not a significant source of Cholest., Vitamin A or Vitamin C. Percent Daily Values (DV) are based on a 2,000 calorie diet. 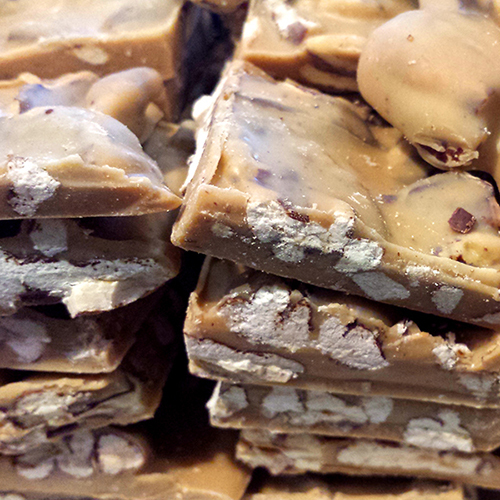 INGREDIENTS: PECANS (PECANS, SEA SALT). We had an outdoor wedding in a sun drenched, grassy area in the woods. Early spring flowers were everywhere, and we served lightly salted pecans as everyone gathered. A very nice touch. Mostly big pieces, they were well appreciated by our guests. These pecans are roasted perfectly and salted perfectly, and put all others to shame. I love all Fastachi nuts but these most of all. The only bad thing about buying these is that you'll never be able to buy dull-tasting supermarket pecans again. 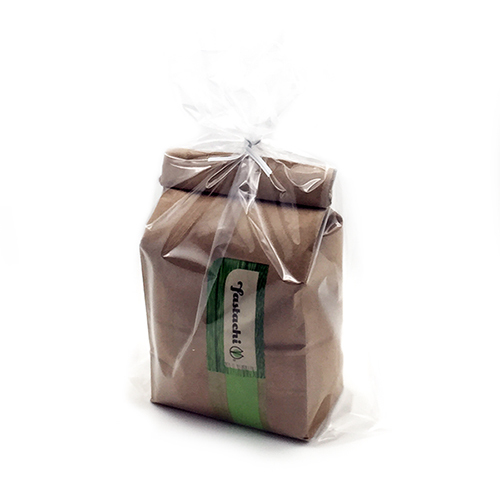 SO good, in handfuls out of the bag or in blueberry pecan french toast! Rich, buttery and sweet tasting with a crisp consistency. 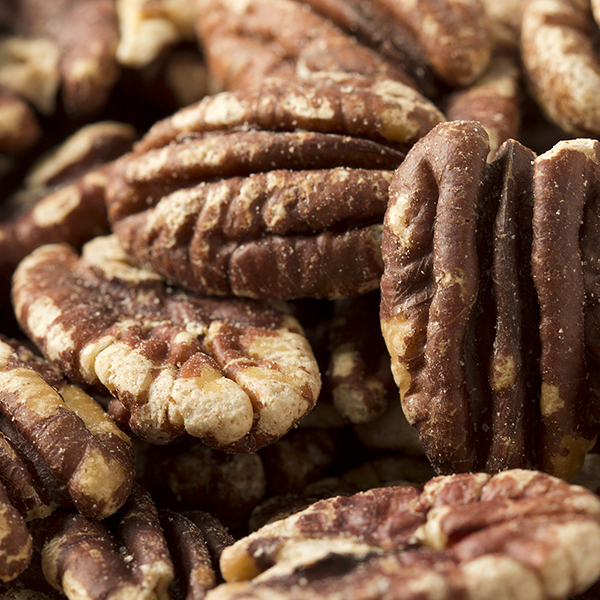 Not only are these pecans wonderful for snacks; they're also excellent in baking. Use the lightly salted pecans in your favorite chocolate chip cookie recipe and notice the difference. so far so good, they are very tasty.